The Presnell Sporting Collection is a new travel club that offers elite sportsmen the fishing and large game hunting experiences that they crave. The individual and corporate members enjoy unique escapes, and the quality of outdoor life they demand, without the hassles of arranging the excursions themselves. Presnell's offerings include big game hunting, upland game hunting, waterfowl hunting, and fresh and saltwater fishing. Escape to the Bahamas for bone fishing off Andros Island, or venture off on an African plains game safari. The hunting and fishing destination club - launched on September 15 this year with 25 memberships - offers twelve locations around the globe, all of which are picked for their seasonality, geography, and the unique opportunity offered. 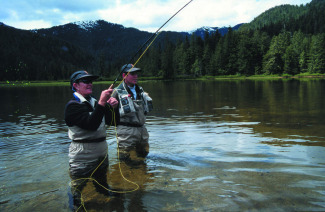 For a personalized sporting vacation, the Presnell Sporting Traveler, a sportsman's concierge, will arrange for a unique excursion outside of those offered by the destination club. Each venue is evaluated annually to ensure its continued high standards. The boutique luxury lodges house a maximum of 30 guests at any one time. The company prides itself in the variety of little known destinations offered and has assembled an initial global collection of 12 high-end sporting venues. "All these things are things I wish I had and wanted," founder Kevin Presnell said of his inspiration for starting the sporting collection. A 9,000 acre property in the Southern Alps of New Zealand, with spectacular scenery from open, rolling meadows to steep hills and snow covered peaks. An antebellum quail hunting lodge in Southern Georgia set amongst unspoiled pine savannahs. A 7,000 acre Argentine Estancia home to the largest dove roost in Argentina. 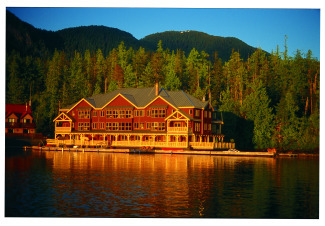 A luxurious floating wilderness lodge on Princess Royal Island, British Columbia, where the salmon can grow to 40-50 pounds. A member will typically set an appointment with a club concierge manager in the beginning of the year and plan out their year. The club can schedule their events from door to door. There are four Membership options, consisting of the Signature, Premier, Elite, and Legendary levels. Each has a refundable membership deposit and annual dues. At the Signature level Members receive 100,000 "sporting privileges," which can be spent on Presnell Sporting Collection outings. For example: A three-day, four-night dove shooting trip in Argentina costs 15,000 privileges, while an African plains game trip lasting seven nights and six days is 65,000 privileges. The Signature level initial membership is $62,500 and annual dues are $35,500. Legendary membership provides 400,000 "sporting privileges" for an initial fee of $190,000 and $142,000 in annual dues. Members can also purchase additional privileges through the program. Up to thirty percent of the privileges can be exchanged for credit with Presnell's affiliate, The Registry Collection, to be used in any of its luxury villas and residencies around the world. The credits must be deposited in the program by April 30 of each year. Members are allowed to use their sporting privileges to treat friends, relatives, clients, or coworkers to the excursions, and memberships can even be transferred to relatives under the destination club's guidelines. Presnell Sporting Collection is the newest addition to the Greenwood, Indiana-based Presnell Companies, privately owned by Kevin L. Presnell. Presnell's other companies focus on real estate, management, construction, and development, as well as hunting and sporting venues. The Registry Collection offers fractional exchanges of luxury residencies around the world. Presnell Sporting Collection members are automatically enrolled in the Registry Collection through the company affiliation. The company has produced some of the most impressive videos we've seen in the luxury vacation club space. Each lodge in the collection will have its own professional video showing the property and the available activities. They are well worth watching to get a feel for the club.